With Bitrix24, you can stay stress free about your customer relationship management. The software helps in efficiently managing people, projects, clients and marketing from a single platform. Empower your business with a top-class communication portal where you can interact with your clients in real time via live chat, email, phone, social network or messenger. 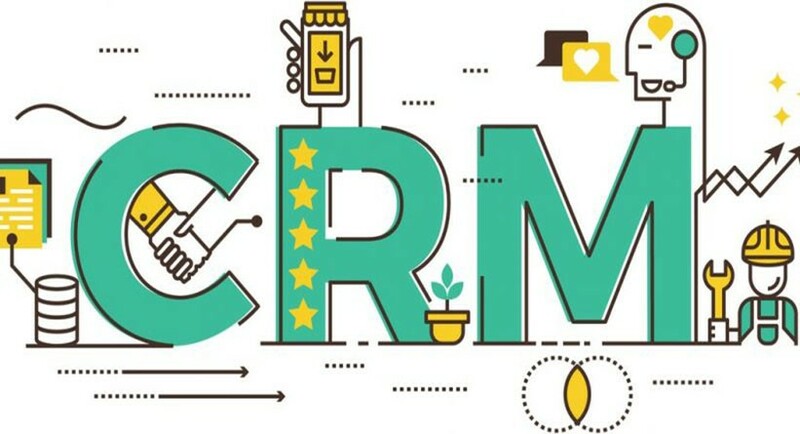 The smart CRM also forms a contact base where the interaction and the history of contacts are managed and stored. 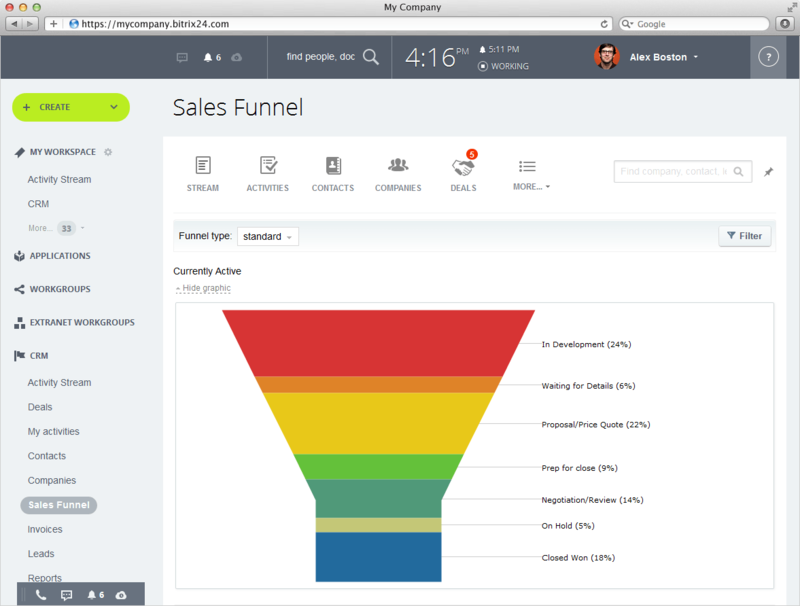 A quick look at the sales funnel gives an immediate account of transactions in progress and their respective stages. Stages can be added easily and each one appears in a separate line and different color. The length of the line corresponds to the total sum of the deals at that stage, and a table with the numeric values is displayed below the funnel. 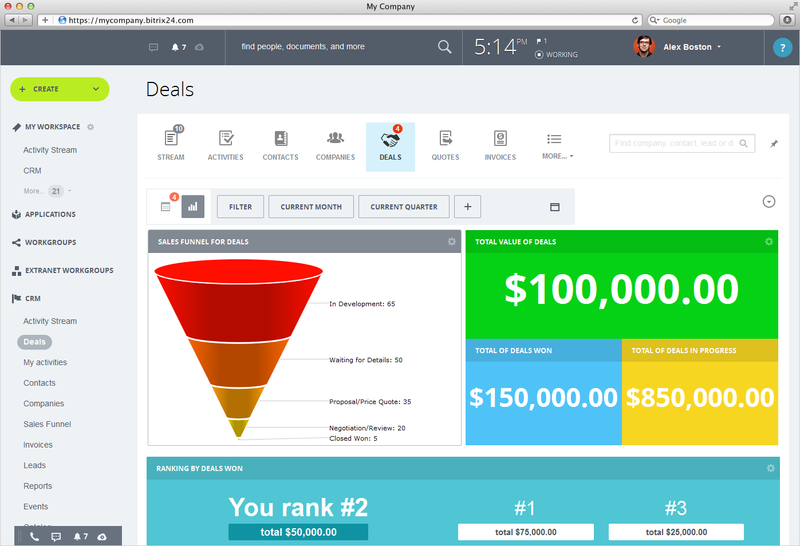 Dashboards in CRM are instant snapshots of the most important sales activities. Each agent can see how many deals they’ve won, how many clients haven’t been invoiced yet, agent’s rating in comparison with other sales team members and so on. Dashboards are currently available for deals, leads & invoices and are in the process of being added to all other CRM entities (Contacts, Companies). 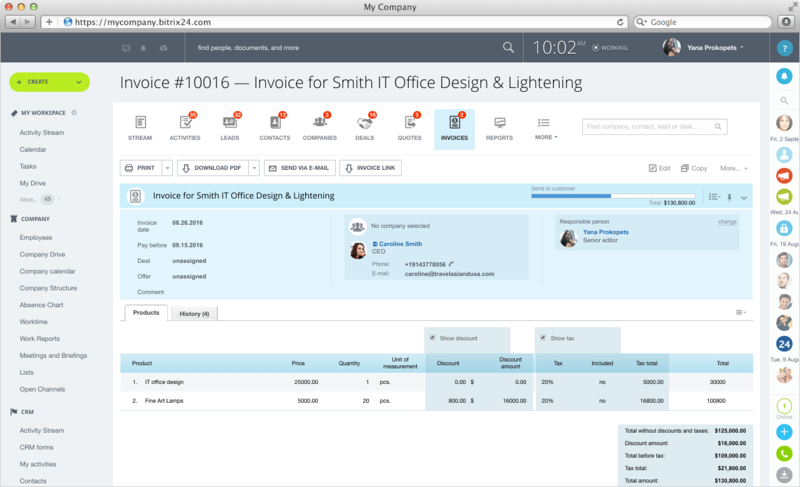 The CRM allows you to create personalized invoices instantly. Client data from the CRM are automatically inserted into an invoice - just select the appropriate Contact or Lead. Recurring invoices are supported. Products and services that are included in an invoice can be selected from existing items, or you can create new ones on the fly. No industry is the same. Nevpro gives you a solution that is tailor-made for your business. 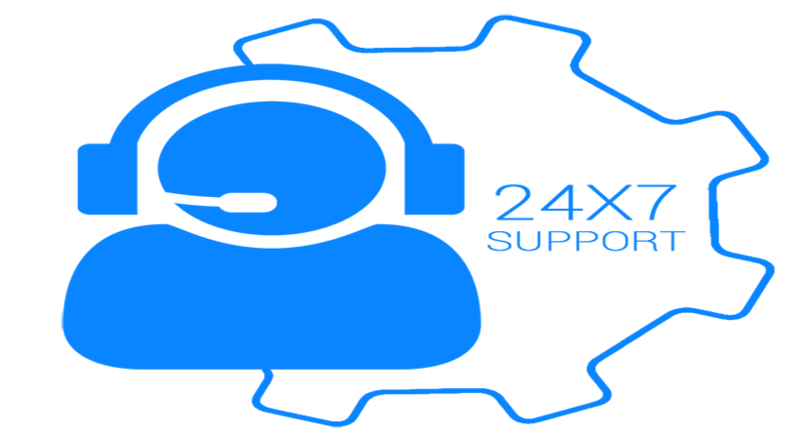 Our Team is available 24*7 to help you. We are the industry leaders with 7+ years of experience understanding capabilities of various solutions in the market. We bring to you a product that is feature rich & best in class.